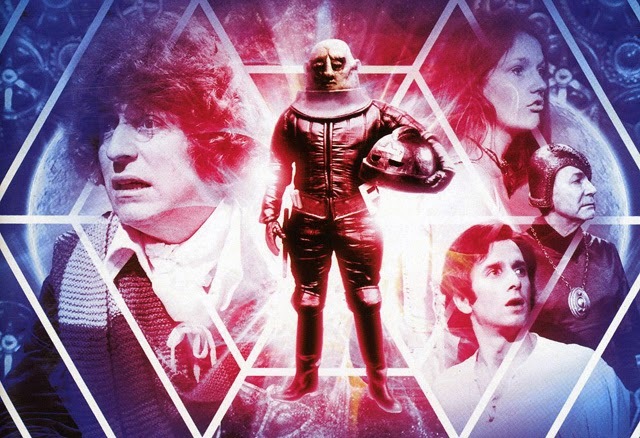 We come to the conclusion of season 15 of the classic series, with a six-part story by David Agnew, that ran from 4 February to 11 March, 1978. The story sees the Doctor (Baker) return to Gallifrey, and also by story’s end, sees the departure of Leela (Louise Jameson) and this model of K9. There’s something odd going on with the Doctor in this episode, he’s a little brusque with Leela, and we see him meeting with some unidentified people/creatures at the start of the story. From there we travel home to Gallifrey, where the Doctor plans to assume his duly elected role of President. But it’s all part of a gambit, that if not played right, could see the destruction of the Time Lords!! It seems all of this is designed to allow an alien race known as the Vardan, whom the Doctor pretends to be working with, come to Gallifrey, where their threat will be ended once and for all. But after vanquishing them, a familiar enemy appears to make their own run at the home of the Time Lords… the Sontarans! Leela leaves the Citadel, and walks on the surface of Gallifrey, itself, only to discover that there are ex-Time Lords there, living without technology, settling nicely into a familiar way of life hunting/gathering that seems to appeal to Leela. 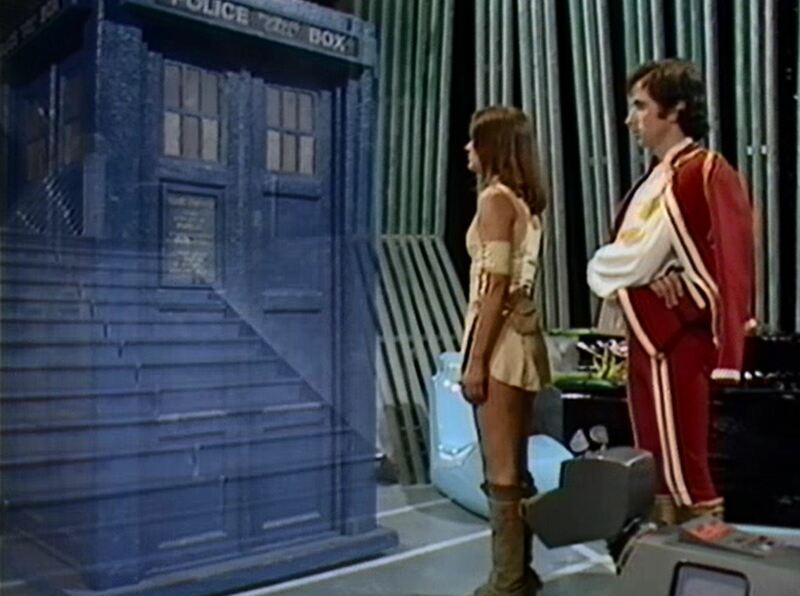 But by episode’s end, there is the suggestion, that she is falling in love with a Time Lord, and elects to stay behind. Not only is Gallifrey an important location in the story, but the TARDIS, herself, is. We get a look at the pool, or at least one of them, and the final part of the story seems to take place exclusively in the TARDIS, its many corridors, store rooms and the like. Early in the story, when the Doctor is acting more abrasively, we find that he is ducking into the TARDIS because it allows his mind to be shielded, and the Vardans are unable to read his thoughts, allowing him to create a final plan to stop them once and for all. Though, admittedly, there design and look really don’t seem to make them much of a threat (this is one alien race that they just didn’t seem to put a lot of imagination into). I found the story much more engaging when Gallifrey’s power field is down, and the Sontarans arrived. Then it became more of a run, escape and out think the baddies kind of story, not that the other part wasn’t good, it just would have worked better if the Doctor had been more likable (I get that he’s ‘working’ with the Vardans, but he could still have had fun… and how many times can he offer someone a jelly baby?). Still, all put together, it’s a solid story, and was a great way to end a season, opening up the possibility of a new travelling companion, as well as the hope of more stories on Gallifrey in the future… you know before the Time War in a few regenerations. Next week, season 16 starts with the first story in the season long Key to Time arc… The Ribos Operation! !